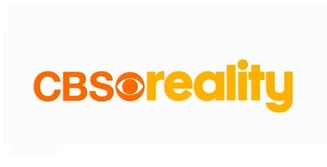 CBS Reality has launched on Freeview channel 66. The new channel took over at the stroke of midnight using bandwidth previously assigned to shopping channel 'bid', which changed frequencies on the 31st March. CBS Reality has been available on satellite and cable platforms since 2009, when it replaced "Zone Reality". Current programmes on the channel include Judge Judy, Unsolved Mysteries, Medical Detectives and Bait Car. Sister channels CBS Drama and Action remain available on satellite and cable platforms; there's been no word as to whether these channels might appear on Freeview in the future. Glad to see this channel is now available on Freeview. Some excellent programmes in the evening, UK time. Will Reality have to transmit subtitles? Don't think those receiving broadcasts via a PSB relay (aka Freeview Lite) will benefit from any of the recent channel alterations. Thanks for this new channel as it is always nice to have new things to watch and this is a wonderful addition to my current viewing. Brilliant, thanks Freeview.